I am chair of the board of The Life You Can Save, a nonprofit organization I co-founded based on the ideas in my book of the same name. The Life You Can Save presents information and promotes actions around the argument that those of us in affluent countries should regularly donate a portion of our resources to organizations with proven effectiveness in helping those in the world who were unlucky enough to be born into extreme poverty. If you want to make a real difference in the lives of people in extreme poverty with your charitable giving, I strongly suggest supporting one or more of the outstanding organizations on The Life You Can Save’s list of recommended charities. 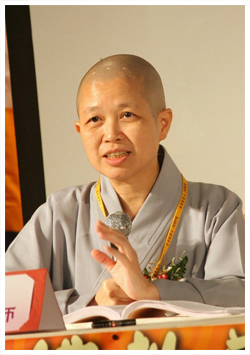 In Taiwan, I had an extended dialogue with the Buddhist scholar, feminist and animal advocate Shih Chaohwei. We exchanged views on many ethical issues, finding both similarities and differences between Shih Chaohwei's Buddhist approach and my utilitarian one. The dialogue was recorded, and I have now received a transcript of it. Our plan is that it will eventually become a book, but we will first continue the dialogue over email before finalizing the text. I’ve been active in the animal movement in England, Australia and the US. I co-founded the Australian Federation of Animal Societies, which is now Animals Australia, the largest campaigning organization for animals in that country. I also worked with Henry Spira in the United States, and wrote about his remarkable work in Ethics into Action: Henry Spira and the Animal Rights Movement. Together with Jim Mason, I wrote The Ethics of What We Eat. I’ve been a vegetarian since 1971, and now describe myself as a flexible vegan, meaning that I am mostly vegan, but not fanatical about avoiding all animal products when it is difficult to do so. The point is, in my view, to minimize support for industries that are causing billions of animals to lead miserable lives, or to die in painful ways. It's been very encouraging to see the spread of vegan foods and restaurants in so many countries over the past decade. I support organizations trying to reduce the suffering of animals, especially animals raised or killed for food, because the numbers involved in the use of animals for food dwarfs every other abuse of animals. If you’d like to help animals with your charitable giving, I suggest you consider the recommendations of Animal Charity Evaluators. Effective altruism is built on the simple but unsettling idea that living a fully ethical life involves doing the most good one can. Often, the most practical way of doing this is giving to effective organizations, but effective altruism can also affect the choice of career, and the voluntary work you do. Doing the most good you can may mean reducing the suffering of other people, or of animals, or reducing risks of future catastrophes. My focus has been on improving the lives of people in extreme poverty. In my 1972 article “Famine, Affluence and Morality,” (now a short book) I asked readers to imagine that they were walking by a pond in which a small child was drowning. They would, I suggested, be likely to rush in to save the child, even if it meant ruining an expensive pair of shoes they were wearing. I use this “Child in the pond” thought experiment to prompt people to think about their values and actions. If most of us would not think twice about the cost of buying new shoes compared to saving a life, why do so few people donate to organizations that are proven to dramatically improve or save lives of those in extreme poverty, often at a modest cost? I develop my argument for this thinking most fully in my books The Life You Can Save and The Most Good You Can Do, and I co-founded the nonprofit organization The Life You Can Save in order to promote effective giving to help people in extreme poverty. If you’d like to learn more about effective altruism, I teach a free online course on this topic and discuss it at length in many of the writings and videos referenced here, particularly in my book The Most Good You Can Do: How Effective Altruism is Changing Ideas About Living Ethically. I’ve always been interested in ethical questions that have some application to the world. As I was starting my career in philosophy, we began seeing the rapid introduction of new discoveries in medicine and the biological sciences. Early discussions of the ethics of these new techniques — for example, in vitro fertilization — were dominated by bishops and theologians. Sometimes they would debate scientists, who can provide facts, but don’t necessarily have expertise in ethics. That’s where I felt philosophy can play an essential role. We need to have ethical discussions about such questions as end of life decisions in health care, the use of embryos in research, and genetic selection or modification of our offspring. I teach about some of these issues in my courses at Princeton University, and I have written about them in books like Rethinking Life and Death, Practical Ethics and Ethics in the Real World: 82 Brief Essays on Things That Matter.